Question of the Week: Name the last beauty product that was a failure for you. Answer: I’ve had a few recently… from the Butter London glitter polish that never was, to the hyaluronic acid serum that smelled suspiciously of cheesy feet. I even bought a Burt’s Bees Intense Hydration Mask for my preggo dry skin that contains Clary Sage so I’m too scared to use it incase it induces premature labour. Sigh. EauMG – has put together a guide to the best smelling hair products. If you could create your own “dream” scented hair product, what would it smell like? Gouldylox Reviews – What do you think of letting your hair go gray? Is it a trendy time to jump on the gray hair bandwagon or would you keep your bottle color no matter what? I need to know! 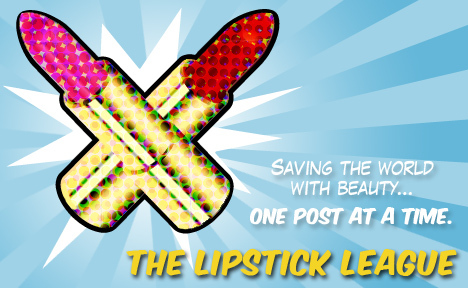 Lipglossiping – It may be pink, but is theBalm’s latest Cindy-Lou Manizer really the perfect candidate for cool-toned ladies? My Beauty Bunny – shares her favorite cruelty free Radiant Orchid makeup and nail picks on eBay. Save some cash and shop her collection! Nouveau Cheap – Squishy jellies, vibrant cremes and fiery shimmers, all in one nail polish collection that costs $6 TOTAL? Yes and yes! Prime Beauty – has 6 hand creams to keep your dry leathery hands looking smooth and supple with options from drugstore to luxury brands! Phyrra – Phyrra’s ecstatic for the new Urban Decay Electric Palette! Check out the chaos inducing colors and tutorial! we heart this – You simply won’t believe this insane amount of pigment and sass is only $6.49! What was the last beauty product that was a failure for you?